Okay… let’s say you are watching the Super Bowl on Sunday and the Patriots score a pair of touchdowns in the first quarter and take a 14-3 lead going into the second quarter. With an 11-point lead after the first quarter, are the Pats assured of a victory? How well have Super Bowls teams done with a lead of 10 points or more in the first quarter? Or… let’s say New England has the lead at halftime after scoring 17 or more points in the first half. Are they on their way to a victory? Or… finally, the Falcons surprisingly go scoreless in the first half (something that would definitely be a big deal, especially considering their high-powered offense). How many Super Bowl teams have gone on to win the big game after going scoreless in the first half? Well… I have some answers for you. Let’s start with the lead margin after each of the three quarters. Teams with a 10-point or bigger lead after the first quarter have gone on to win eight of 10 Super Bowls (a .800 winning percentage). 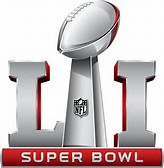 Even just having the lead after the first quarter is a good omen; teams with the lead after the first quarter in the Super Bowl are 27-11 (.711 winning percentage). The chart below breaks down the leads after each of the three quarters in the previous 50 Super Bowls. 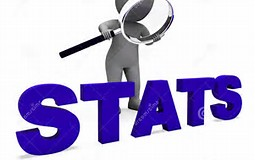 There are five categories: leads of one point or more, leads of three points or more, leads of seven points of more, and those of 10 or more and 14 points or more. Let’s answer the other two questions from the beginning of this column. Super Bowl teams that have scored 17 or more points in the first half are 19-1. The only loss was in 1982 when the Miami Dolphins had a 17-10 lead at halftime over Washington and lost that contest 27-17. Super Bowl teams that have held their opponents scoreless in the first half have gone 12-0. If a Super Bowl team has held their opponents to three points or less in the first half of the big game, those teams are 21-3. Okay Broncos fans… do you want the good news first or the bad news? Let’s assume you want the good news first: The 2015 Denver Broncos became the first team in 38 years to win a Super Bowl after losing the Super Bowl either the previous year or two years back. 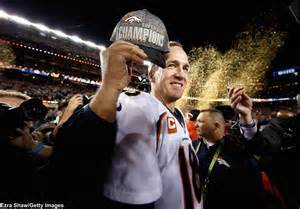 The Broncos lost Super Bowl #48 to the Seattle Seahawks in 2014 but won the title two years later. Here’s a look at the five teams in Super Bowl history to win a Super Bowl within two years of losing the title contest. That’s the good news; now for the not-so-good news. Can the Broncos return to the Super Bowl next year to defend their title? Past history indicates there is about a one in five chance they will be back in the Super Bowl in 2017 representing the AFC. Of the previous 49 Super Bowl champs, only 11 of them returned to the Super Bowl the following year. Following is a list of those teams.